FREE Weider 5 lb. 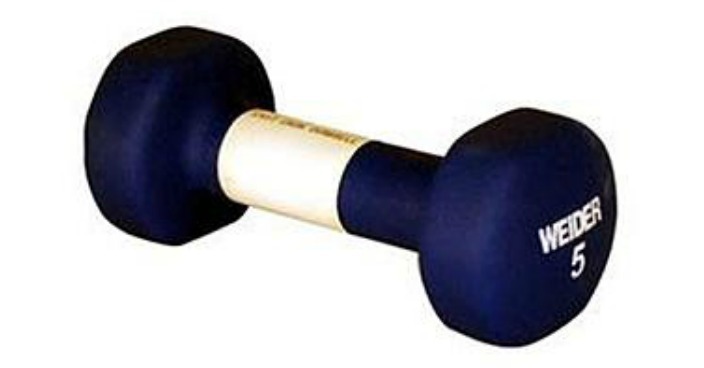 Neoprene Dumbbell! You are here: Home / Great Deals / Christmas Deals / FREE Weider 5 lb. Neoprene Dumbbell! Sears has this Weider 5 lb. Neoprene Dumbbell on sale for $7.49 (Reg. $10) and you can get back $7.56 in Shop Your Way points, making it FREE! Strengthen your upper body with this easy-to-use dumbbell. The soft, neoprene coating is comfortable and provides a non-slip grip so you can maximize your strength training routine.